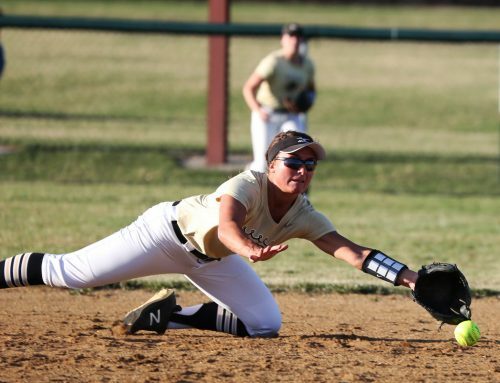 Penn Softball split a doubleheader with Munster, dropping a 4-3 decision in the opener, and then bouncing back for a 2-1 win in the second game, on Saturday, April 6, 2019. Brenna Brown blasted three doubles to lead Penn in the first game. Penn rallied from a 4-0 deficit to close to 4-3. Brown had two hits in the second game, including a double. Delayne Sanchez and Brenna Brown each had one RBI for the Kingsmen.